In May, the Board considered an important project, and heard the Manager’s presentation for capital spending, and remembered. The Four Mile Run Working Group presented their draft plan, which we adopted. 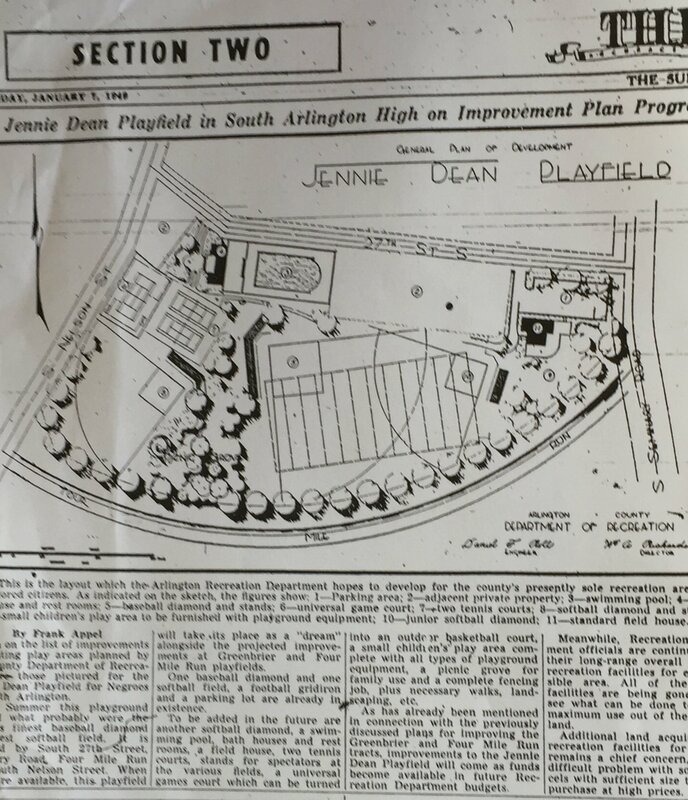 This is a long overdue plan (to get an idea of how long overdue, the article on planning for the area pictured here is from 1949), and it’s a big step forward. There were many different stakeholders, which led to some contentious meetings over a number of thorny issues. These included whether to make changes to the very popular dog park (no changes will be made because any changes would trigger expensive environmental mitigation required by Federal law); the presence of both an art district and existing small businesses rather than all park space (the art district and businesses will stay and, we think, provide healthy synergies for the park and surrounding areas); and traffic management (we will be piloting new street parking and sidewalk configurations before making them permanent). 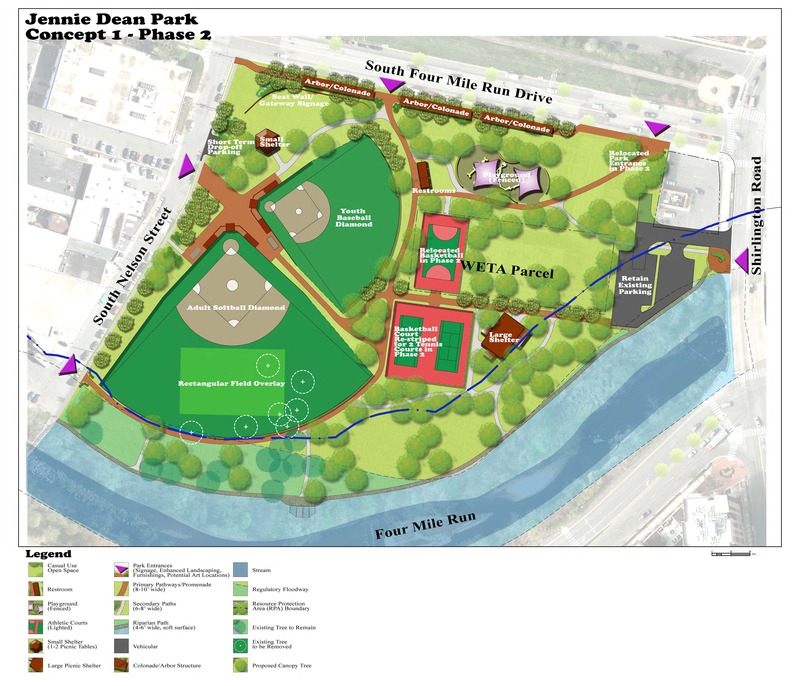 In the end only one issue remained: where to place passive open space and amenities on the new Jennie Dean Park. Because a large building owned by WETA sits in the park area, any plan had to be in two phases: before purchase and demolition of that building, and after. The timing of the second phase depends on WETA selling to the County and our having the money for demolition, which are very uncertain. In the end, there were two alternative concepts presented. 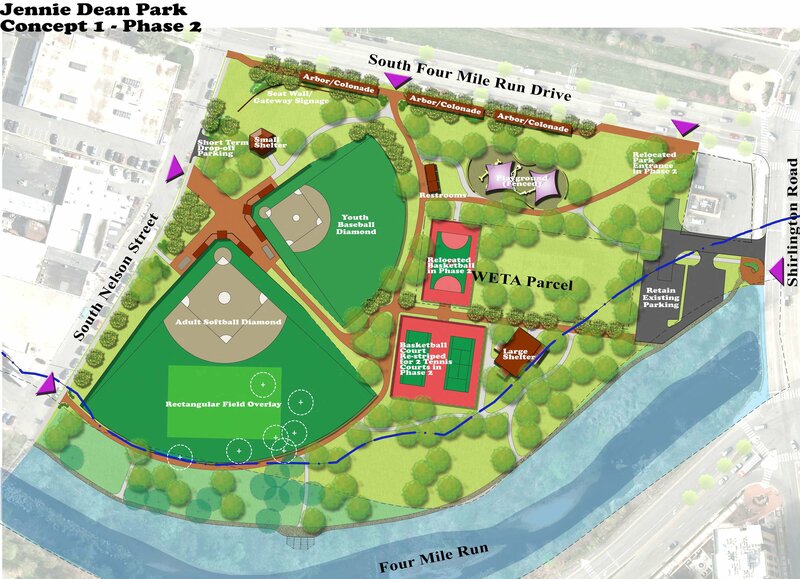 The Board adopted “Concept 1”, which the Working Group endorsed and which gains more amenities without waiting for Phase 2. 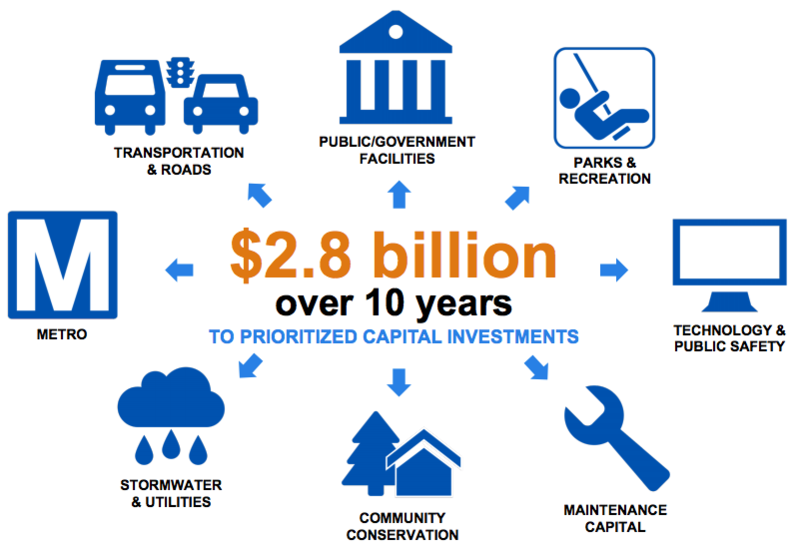 Every two years we adopt a 10-year Capital Improvement Plan (CIP). The projects planned for first two years are pretty certain and form the basis for our bond requests in November. 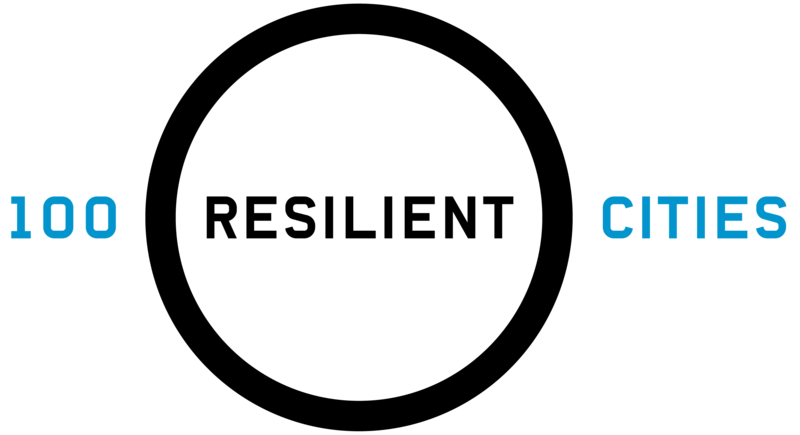 The out years are less certain, but help us plan and prepare for future needs. Our Manager, Mark Schwartz, presented his proposed CIP this year starting on a sobering note. We are projected to have less money now than we thought two years ago, the projects themselves are projected to cost more, and we have needs for Metro and schools that we did not see two years ago. Mr. Schwartz’s plan focuses on maintaining our current assets in a state of good repair, and on keeping our commitments to long-planned projects, school needs, and Metro. It is good that both the Lubber Run Community Center and the Long Bridge Pool have fixed pricing contracts and are funded. We begin our work sessions on the CIP by meeting with the School Board on May 29th. I expect the limitations of our capital dollars will show up clearly in the conversation about the additional high school seats needed, and whether or not to build a 4th comprehensive high school to meet that need. In my regional report, I summarized a fascinating presentation of DC’s resiliency plan that is funded by a Rockefeller Foundation program called 100 Resilient Cities. DC’s report is not yet finished, but they have determined that—when considering all of the severe shocks and chronic stresses that threaten the District—their low altitude and coastal location means that flooding from climate change is likely the greatest threat they must prepare for. You can read reports from cities around the world on the 100 Resilient Cities website. Boston determined that the chronic stress of racism was one of their biggest threats. Amman, Jordan realized that its car traffic and road design mean people cannot walk safely in their city, despite the wonderful walking weather they have. In sum, there is much food for thought in these reports. For the first time in human history, more people live in cities than in rural areas. This is a critical issue. Arlington lost two long-time civic giants recently. We recognized Lucy Denny and Carrie Johnson, whom many of you knew well. I had the privilege of knowing both. They represent the best of our civic engagement culture, and we will miss them sorely. 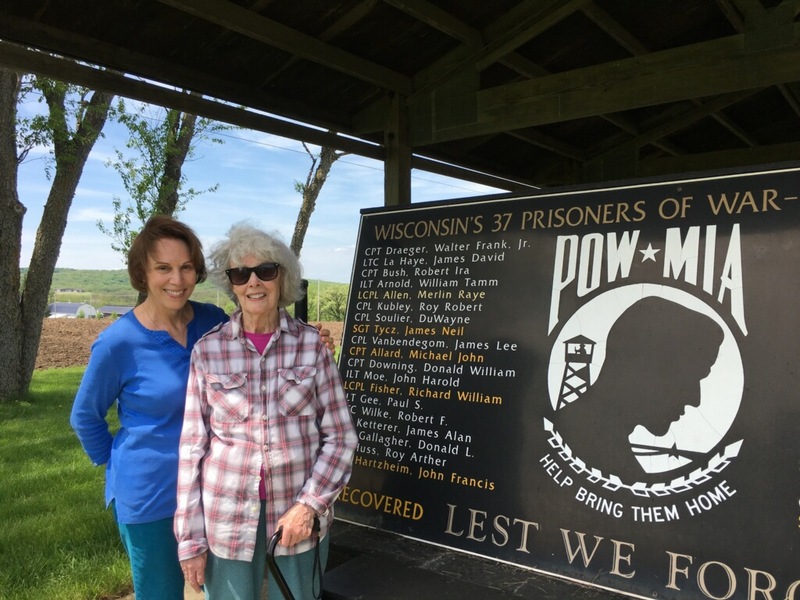 Finally, I wish everyone a good Memorial Day weekend as we visit with loved ones, give thanks for the service of our men and women in uniform, and recognize the sacrifices made for our country since it’s beginning. As I write, I am visiting with my sisters and our mother who is turning 90. She has seen many ups and downs for our nation. The one constant is the need for people of good will to stay involved and realize the incredible promise of our Constitution and the Declaration of Independence.